Michigan Antique Furniture Restoration Repair and Refinishing Mi. You're in good hands with Gramco, so let's get the ball rolling, it could not be easier! to talk to a real live furniture restoration expert who will answer all your furniture related questions. Or click and fill out the "Furniture Repair Request"form and We will take care of the rest. The subtle warmth of beautiful wood, rubbed to a rich deep glow. 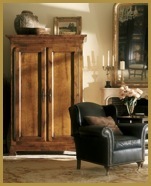 Graceful proportions and details enhanced by the natural wood-grain patterns of aged Oak, Walnut, and Mahogany. The elegance of classic design perfected through a lifetime of creative toil . Beauty brought back to life by Gramco's master craftsmen . The art of the furniture designer and craftsman is affected by the passing of time. Finishes begin to dull, catches and hinges break, and delicate details are so easily damaged. Simple daily use can diminish the beauty of even the most well cared for Heirloom furniture. Restoring such fine furniture to its original perfection is an art in itself. Knowing what should be done, and when to leave well enough alone. Revealing the full potential of a piece requires more than competent knowledge of the physical processes of furniture repair and recipes used in furniture refinishing. It requires a special instinct for the natural qualities of the materials involved an understanding of the designer’s vision and the ability to bring that vision back to life through painstaking care at every step. The ranks of Gramco Furniture’s work force now include the third generation of VerHines. Just as it was for father before them, Gramco has proven to be a learning ground for generation after generation learning, growing and passing along the art of antique furniture restoration . It’s not just a vocation, it’s a calling. Gramco Chosen Best Small Business. You can relax knowing Gramco Furniture Restoration was chosen as best of 8000 southeast Michigan businesses, earning the coveted Best Small Business Award, presented by the Michigan Small Business & Technology Development Center. In an age of disposable products the significance of this award was not lost on VerHines. "An award like this shows that it is possible, and even desirable to combine advanced technologies and tools to a traditional old world craft like antique restoration and actually improve the product. " said Mr.VerHines. "That’s truly important because these antiques are legacy pieces that provide a connection to our past for our future." Past connecting with the future that’s what Gramco is all about. President Gramco Furniture Restoration Co.
Vintage tables chairs dining sets bedroom sets and all kinds of antique furniture can be ruined if not handled properly. At Gramco The restoration of Antique Furniture is an entirely different prospect than refinishing contemporary furniture. Pre work evaluation is a sizable part of the process Without careful inspection and consultation it is possible to cause irreparable harm to a piece of historically valuable furniture. .
Insurance, furniture repair, refinishing and restoration services.